We’re looking for people to join the team who are motatived, entergentic and love to work with kids! 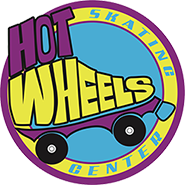 At Hot Wheels we have several different employement options: working for the "rink side "after school care side" and the "camp side." Eligible "rink side" employees must be at least 16 years old, have a positive attitude, like working with the public, have reliable transportation and be able to work weekends. Eligible "after school care side" employees must at least be 16 years old, have a positive attitude, like to work with kids, have reliable transportaion and be availale to work Monday-Friday 2:45 p,m.-6:00 p.m. Eligible "camp side" employees must also have a postive attitude, like working with children, have reliable transprotation and be available to work 12 weeks during summer, hours vary from 7 a.m.- 6:00 p.m. Monday- Friday. Employees must at least be 16 for a "junior camp counselor position." Please print and fill out the application below (both pages.) Please be very specific about your availability. Availability is crucial when applying at Hot Wheels and weighs very heavy on our decision to move past the application process into the interview process. Once complete, bring your application to Hot Wheels Monday-Friday from 4-6 p.m. and drop it off in the lobby! We will get back to you in a few business days to let you know if we are hiring for the position applied for and an interview! Simple and Easy!